Autumn is definitely my favorite season. I love the beautiful colors of the changing leaves and that I can wear the clothes I love… boots, jeans and light jackets. 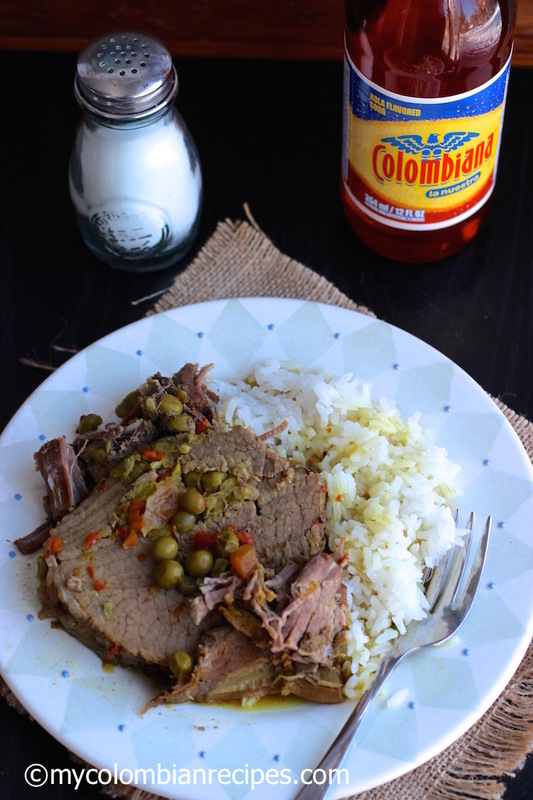 I also love the fall because when the weather starts getting cold, I like to cook all of my favorite Colombian comfort food recipes. 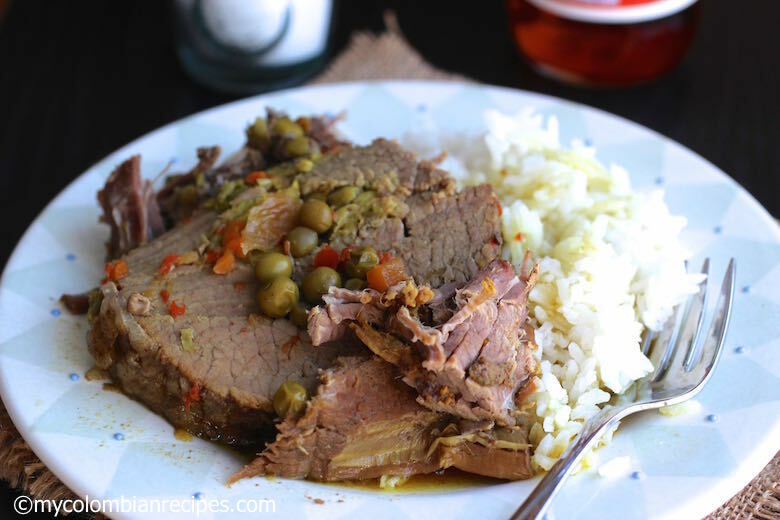 This Posta Rellena or stuffed beef is a popular recipe in my family. My grandmother used to make it a least once a week and all her kids follow the tradition, adding their own touch. 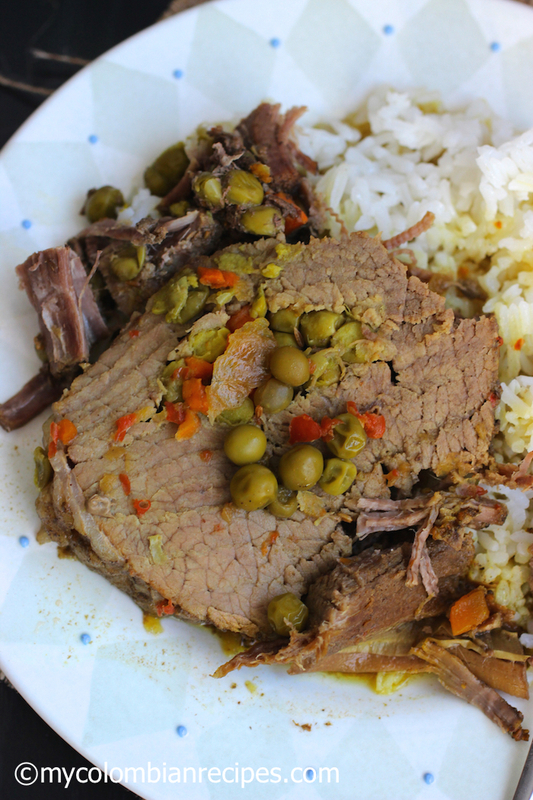 Mamita would stuff the beef with pork, peas, carrots and potatoes, and cook it in the pressure cooker for 45 minutes. It was absolutely delicious! One of my uncles, on the other hand, uses cooked egg, pork belly, peas and carrots in his stuffing. I also love his variation and he uses the pressure cooker too. 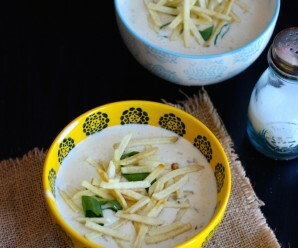 I made my recipe similar to my mom’s, but I used a slow cooker, not a pressure cooker. Enjoy it! Place the onions, garlic, red bell pepper, oil and scallion in a food processor and puree. To create the cavity for the stuffing, use a long sharp knife and cut an 1 1/2 to 2-inch hole through the center of the roast making a lengthwise slit. Turn the meat around and cut another slit in the same spot so that your knife completes the cavity. Stuff the beef with the bacon, peas, carrots and half of the onion mixture, pushing with your fingers to be sure the filling goes all the way through. Tie the end of the beef so the filling does not come out. Place the beef in a zip lock bag, add the rest of the onion mixture, salt and pepper. Be sure the beef is covered with the marinade and refrigerate for at least 3 hours or overnight. In a large skillet over medium-high heat, brown the meat on all sides in oil. When it is browned, put it in the slow cooker. In a small bowl mix the beef broth, tomato paste, ground cumin, salt, pepper and sazon Goya. Pour over the beef, cover and cook on high for 4 hours. Add the potatoes and yuca after 3 ½ hours of cooking. Note: If using a pressure cooker, cook for 45 minutes. Stuffed beef — how special and delicious. What a beautiful and colorful presentation! I like the idea that everyone adds something different to this. Looks delicious. Sounds definitely so comforting! If something is stuffed, that’s my type of food. I’m curious about all of its versions. Thanks for sharing. What a beautiful meal this would make! It is so colorful and delicious looking. I have never stuffed beef before. This looks so good, Erica! Thanks for introducing it to me! I also love boots, jeans and light jackets!!! YAY for fall! Anything stuffed is delicious. Great looking dish. In Latin America, it’s called boliche and I’ve made it with chorizo stuffing. I truly appreciate all your comments! 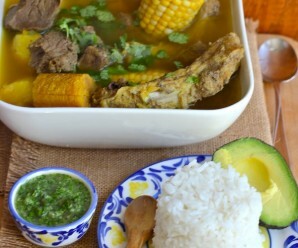 Hi, this is a family’s favorite nothing like a good paisa meal once in a while. 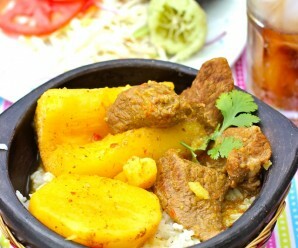 We are always looking for new ways to cook beef in hearthy stews! I love to use my pressure cooker (I use it about 4/week) may you please advise what your mom’s pressure cooker technique is. I trust your directions to a “T”. Thanks again for these great recipes! I have eaten this many times in Cali, where I lived some years, as Muchacho Relleno. It is so delicious. I will use your recipe to make it! 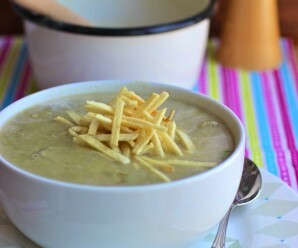 Hola Erica, me encanta esta receta pero cuanto tiempo tengo que dar en olla normal, porque no tengo slow cooker ni olla de presion.